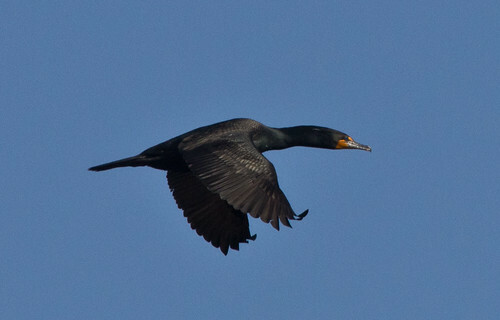 Many people believe that the number of Double-crested Cormorants is rising above historical levels, but there is little compelling evidence that that’s true. Cormorant numbers are indeed rebounding, but they’ve been subjected to harassment and killing since before any accurate censuses of birds were being made, so we have no way of knowing what their numbers were before this harassment. Having problems with a fish-eating bird? Check out some ways to solve the problem.